The Alta Via of the Ligurian Mountains (AVML) is a hiking trail along approximately 450 km that is developed on the watershed that borders the Ligurian coastal slope. The original route is divided into 44 stages of varying length and difficulty and is marked with a red-white-red with the words AV in the white part. The path began as trekking on foot but is passable in many places even in mtb. The western end is placed in Ventimiglia, while the eastern is Ceparana, in the plain of Sarzana, on the border with Tuscany. 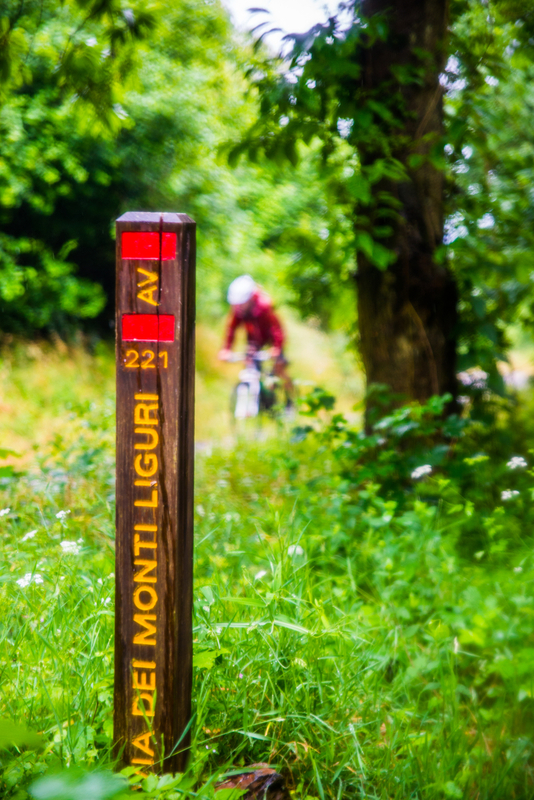 The trail crosses the Regional Natural Park of Beigua, the Regional Natural Park of the Ligurian Alps, the natural park of Capanne di Marcarolo and the Regional Natural Park dell’Aveto. The point of maximum altitude reached by the Alta Via is Mount Saccarello (2.201 m above sea level).